Flexo printing machine ZJR-330/450/650	The whole machine adopts the latest servo control system from Germany and each printing unit is driven by individual servo motor. The whole machine is equipped with 23 servo motors (8 color-printing and 3 die-cutting stations) in total; superior accuracy is guaranteed even during high speed running. 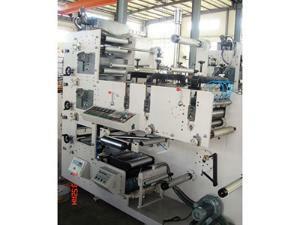 Flexo Printing Machine, ZBS-850This flexo printing machine adopts the ceramic anilox cylinder to transfer the ink. Unwinding and rewinding tension are auto-controlled by tension controller. Each printing unit adopts 3600 plate-adjustment. 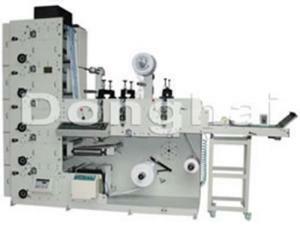 Flexo Printing Machine,ZBS-320 (1/2/3 Colors)This ZBS-320 flexo printing machine with 1 to 3 colors uses the ceramic anilox roll for ink transfer. It adopts the magnetic power brake or clutch to control the unwinding and rewinding process, and the automatic tension controller in charge of the tension of winding units. Flexo Printing Machine,ZBS-320 (4/5/6 Colors)The ceramic anilox roll is mounted in this ZBS-320 flexo printing machine for ink transferring. This machine is also designed with unwinding and rewinding devices controlled by magnetic powder brakes and clutches, and the Mitsubishi auto tension controller. 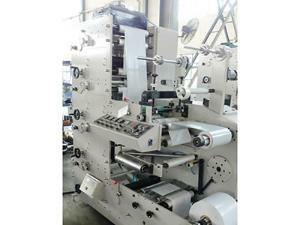 Flexo Printing Machine, ZBS-320G (3/4/5/6 Colors)It uses the ceramic anilox cylinder for ink transfer. There are totally three rotary die-cutting stations, namely the first and second stations applicable for double side die cutting and the third die-cutting station for sheeting or slitting printed materials. Flexo Printing Machine, ZBS-450 (1/2/3 Colors)This ZBS-450 flexo printing machine chooses the ceramic anilox roll for ink transfer. It is able to print with 1 to 3 colors respectively. There are brakes, clutches and automatic tension controller mounted for controlling the unwinding and rewinding devices. 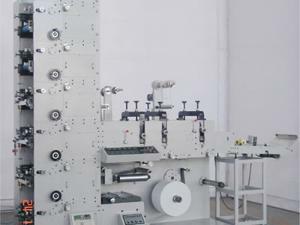 Flexo Printing Machine, ZBS-450 (4/5/6 Colors)Apart from the control of magnetic powder brakes and clutches, its unwinding and rewinding units are also controlled by Mitsubishi automatic tension controller. The printing plate of each printing unit allows 360 degree adjustment, and a series of hot air dryers is mounted for printing units. 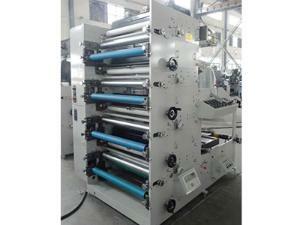 Flexo Printing Machine, ZBS-450GA series of optional devices is available. For example, the conveyer system can be applied in combination with the third die cutting station for conveying the finished products orderly. The static image monitoring device can be used to inspect the image quality for high speed printing. Flexo Printing Machine (4-6 Colors), ZBS-600This ZBS-600 flexo printing machine transfers the ink through ceramic anilox roll effectively. Its unwinding and rewinding units are designed with magnetic powder brakes and clutches, and Mitsubishi automatic tension controlling device. 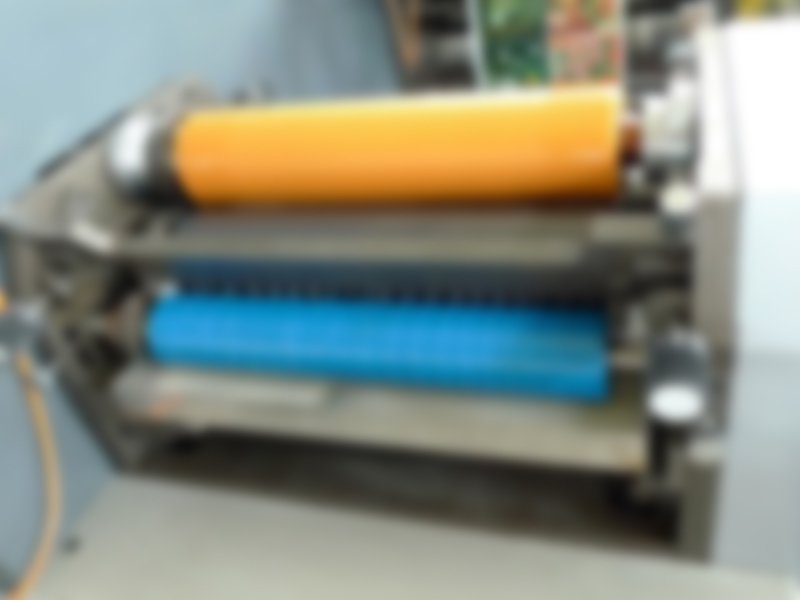 Flexo Printing Machine (4-6 Colors),ZBS-820Separated from the printing roller automatically, the ink roller keeps rotating at low speed to prevent the ink from drying when the flexo printing machine stops. The main motor is designed with an imported continuously variable frequency speed governor, showing the stable performance of the machine. 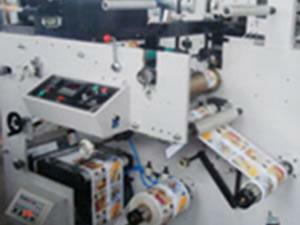 A flexo printing machine can use different types of inks, including UV ink, water based ink and solvent ink, etc. 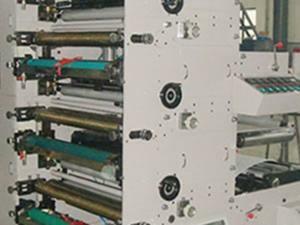 Flexo printing machine using water based inks is suitable for a comprehensive range of materials, including brown paper, label paper, wallpaper, rubber, and variety of packaging materials. So, flexo graphic printing equipment provides us with an ideal solution for printing food packaging labels, pharmaceutical labels, cosmetic labels, daily consumable labels and so on. 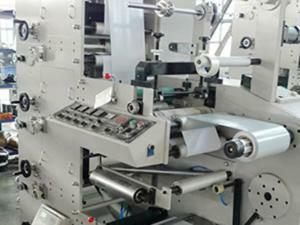 The printing unit is the core of a flexo printing machine, and its arrangement directly influences the performance, speed and range of application of flexo printing presses. 1. 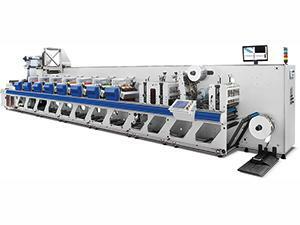 Designed with simple structure, flexographic printing equipment is easy to operate and maintain. 2. 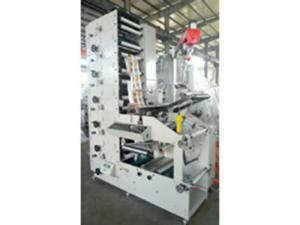 With rapid printing speed, flexo printing machines are suitable for printing a middle and large quantity of materials. 3. It is applicable for printing on paper materials or adhesive materials with a thickness of 20-300gsm. 4. Force of impression is low, which is approx. 19.6-39.2N/cm2. So, flexo printing machines provide us with an ideal printing solution on printing stocks which cannot endure high impact force. 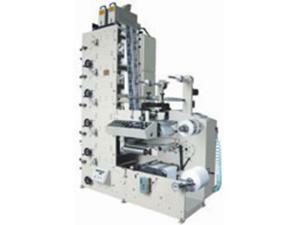 Weigang Machinery Company is an experienced flexo printing machinery manufacturer and supplier based in China. Since our inception in 1999, we have been dedicated to the production and development of printing equipment. Over approx. ten years development, we have obtained CE certifications for our products and have exported our products to over 50 countries around the world, including the United States, Argentina, Britain, Holland, Spain, Russia, Singapore, and Japan, to list a few. We expect to expand our business to an even larger area. 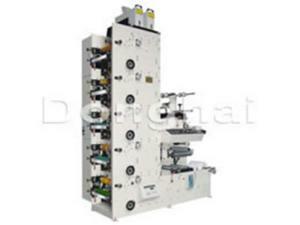 You are very much welcomed to inquiry or purchase our printing machinery, die cutting machinery and slitting machines. 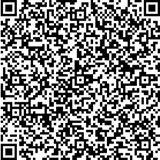 You can contact us by email and phone list on this website.